CAL APATITE FORTE - Complete Bone Nutrition with Vitamin D. Excellent for Osteoporosis. 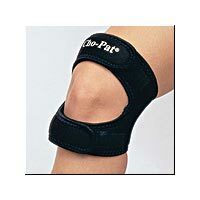 CHONDROCARE with MSM - Advanced Joint Support and Protection. Excellent for Arthritis. CORTICO B5/B6 - Nutritional support for Adrenal Hormone production. 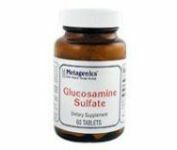 Delivers significant amounts of Pantothenic acid(B5) and Pyridoxine(B6), important for many physiological functions, excellent for Rheumatoid arthritis. EPA-DHA Omega-3 Essential Fatty Acids - Natural Source of Omega 3 from cold water fish oil. Helps to support cardiovascular, nervous, and immune system function. Provides nutritional support to help maintain triglyceride levels. E COMPLEX 1:1 - Optimal ratio Vitamin E blend. Excellent for healthy Cardiovascular, Nervous system, and Prostate function and healthy Skin. E-400 Selenium - Antioxidant protection formula. Features Selenium and Natural-source Vitamin E.
EstroFactors -Nutritional Support for healthy Estrogen Balance and improvement in symptoms of PMS, Perimenopause, and Menopause. 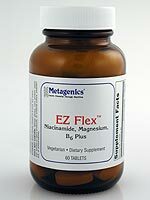 EZ-FLEX - 60 Tablet - Nutritional support for healthy Tendon, Muscle, and Nervous System function. GinkgoRose - Herbal Support for healthy Brain Function combining Ginkgo Biloba with Rosemary leaf extract. HYPOTHYROID REMEDY - Handmade homeopathic formula designed to relieve fatigue, cold hands and feet, and weight gain. IMMUCORE - ( 90 tablet: $31.00 ) Nutritional Support for healthy Immune function. INFLAVONOID - Herbal Relief for Minor Pain. 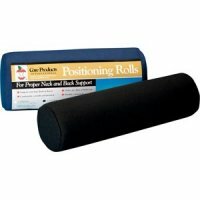 Perfect for those whose joints and/or muscles are impacted by physical stressors, poor posture, and even inactivity. LIPO-GEN - Comprehensive blend of vitamins, amino acids, and herbs to support a healthy liver and gallbladder. MAG-CITRATE - Blend of Magnesium and Calcium citrate for healthy muscle contraction and preventing nocturnal leg muscle cramps. MAG - GLYCINATE - Essential mineral that plays a key role in many metabolic processes, such as energy production and bone mineralization. 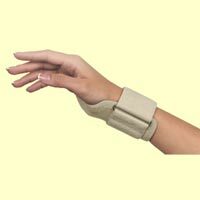 Supports muscle relaxation and nerve transmission. Prevents nocturnal leg muscle cramps. META-EPO - Pure evening primrose oil, natural source of gamma-linolenic acid (GLA). Supports neurological tissue and healthy circulatory function. MULTIGENICS - Comprehensive multiple vitamin and mineral formula suitable for adolescents, adults, and seniors that provides provides an essential, comprehensive foundation for optimal health. MYOCALM - Muscle relaxation formula. Provides magnesium and calcium blended with select herbs that support healthy muscle function. 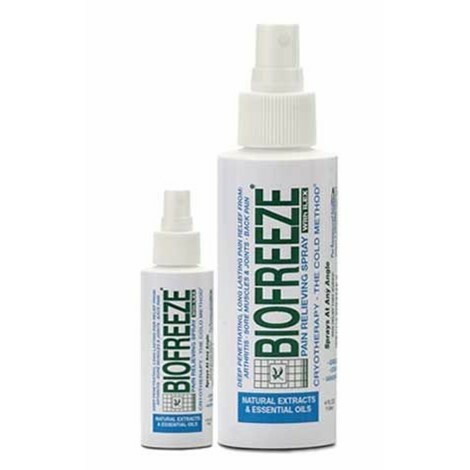 Help relieve minor muscle pain associated with stress or physical exertion, and may prevent nocturnal leg muscle cramps. MYOCALM PM - Provides the same specialized formula as MyoCalm with addition of lemon ballm and hops-herbs traditionally used to promote relaxation and restful sleep. Promotes muscle relaxation. OSTEO-GENICS - Combines calcium, magnesium, vitamin D, raw kidney concentrate, and other nutrients that support bone health. UNIPRO'S PERFECT PROTEIN - High biological value whey protein. Perfect for athletes who demand the highest quality protein source. Perfect for anyone who desires a fat-free, low-carbohydrate, low-glycemic index, or low-sodium protein source. PROBIOPLEX - Concentrated Whey Protein with Bioactive Immunoglobulins. Helps to promote the growth of "friendly" intestinal bacteria that support good health. Healthy intestinal function and a healthy immune response. SOMNOLIN - Complementary blend of nutrients, including 5-HTP, theanine, and targeted B vitamins, to promote a restful, relaxed state and relieve occasional sleeplessness. SUPERGARLIC 6000 - Super concentrated garlic supplement that is guaranteed to supply 6,000 mcg of allicin- garlic's most important active ingredient- per tablet. 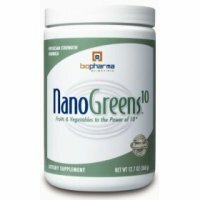 Helps support cardiovascular and immune system health. Healthy triglyceride and other blood lipid levels. ULTRACLEAR PLUS - Provided as a powdered beverage mix, is a medical food for impaired or compound detoxification capacity, which may be associated with health conditions such as: Alcohol/chemical dependency, Fibromyalgia, Food Allergy, Chemical Sensitivity, or Chronic Fatigue Syndrome. ULTRA FLORA IB - Enhances potency probiotic formula designed to help relieve bowel irritation and related functional discomforts by promoting an optimal balance of intestinal microflora. 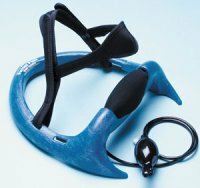 Addresses abdomincal discomfort, bloating, and cramping. Offers relief with only one to two capsules daily. ULTRA GLYCEM X - Specifically fortified, powdered medical food designed for nutritional support of individuals with Hypoglycemia or Type 2 Diabetes. A Pleasant tasting powder. 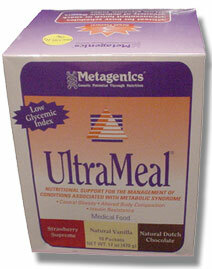 ULTRAMEAL - Powdered medical food designed to nutritionally support the management of conditions associated with metabolic syndrome, including central obesity, altered body composition, or insulin resistance. Promotes the loss of body fat while helping to maintain lean muscle mass. A delicious high protein/low glycemic index meal option. Feautres PharmaSoy, a blend of superior soy protein, isoflavones, and diary free calcium. ULTRA-INFLAM X - Pleasant tasting, easily digested medical food in powder form that provides nutritional support for patients with inflammatory bowel disease, ulcerative colitis, or Crohn's disease. ULTRA POTENT C 500 - Patented formula that is designed to provide high levels of functional vitamin C in a short period of time. Provides valuable antioxidant protection. Supports the production of collagen and healthy connective tissue. Supports immune function. Each tablet supplies 500 mg.
ULTRA POTENT C 1000 - Same exclusive, patented formula as Ultra Potent C 500 but with 1,000 mg of vitamin C per tablet and a higher potency metabolite support system. WELLNESS-ESSENTIALS - Combination of 3 popular Metagenics products conveniently packaged together in single serving packets. Each packet contains the following 3 products: Multigenics Intensive Care Formula without Iron (4 tablets), AdvaClear (2 capsules) , and EPA-DHA Extra Strength Lemon Flavored(2 soft gels). ZINC- A. G. - features a 100% nutrient dense formula with each of the active ingredients of zinc, arginine, and glycine. Promotes healthy immune and prostate function. Choose Size online and call (914) 364 -2751 for color availability. 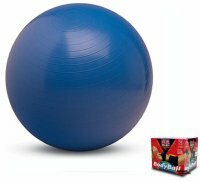 VALEO BODYBALL ( burst resistant ) - Improves balance, coordination, and flexilbility and develops a healthier posture. Specially designed for slow deflation if punctured. 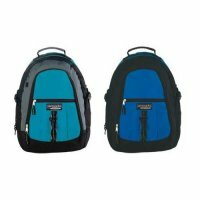 Includes High volume air pump and DVD. 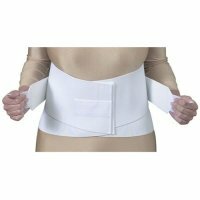 COR-FIT LUMBOSACRAL BELT - Reduces the risk of injury caused by repetitive motions, supplements abdominal muscles and reduces stress on lower back; and helps alleviate muscle strains and spasms. 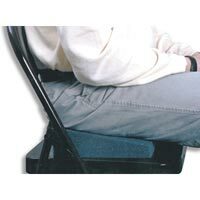 Postural Sitting Wedge ( $12.00 ) - Promotes correct seated posture to poperly align the pelvis and spine and relieve pain and tension in the low back. Excellent for those who sit for long periods of time at desk and computer. 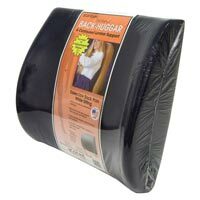 BODYLINE BACKHUGGAR LOW BACK CUSHION - Support for Lower back pain when sitting for long periods of time at home, work, or traveling in car, etc. Please speak to Dr. Sutera prior to making a payment.